Popularly known as DEA, disposable email is another way of sharing and managing email addressing. By creating a disposable email, you will get a new, unique email address for every contact by which you can make a direct point to point connection between the sender and the recipient. One of the main advantage of these emails is that it can be cancelled easily whenever the need arises. These are mainly used for the security purpose and keeping the conversation on emails as safe as possible. 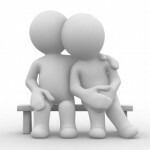 It can be used for online registration for sites offering discussion groups, chat rooms, and online shopping. It is like use and throw service. And the email services which provide this kind of facility are called disposable email providers. 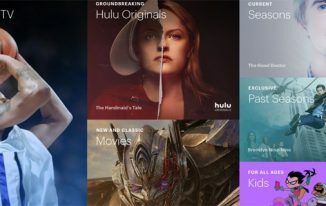 Most of the disposable email providers are based on subscriptions which will cost you a lot and many other asks for your legit email before signing up for their service. 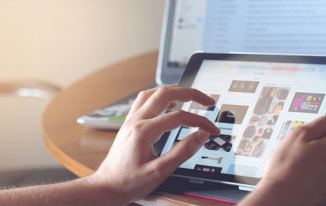 In this post, we will let you know about the top ten best disposable email providers which are free and there is no need for registration. 1. 10 Minute Mail: As the name suggest, this provider will give you a disposable email for 10 minutes and it will expire after it. It is like come, use and go. You just need to copy the email which will be shown to you. 2. 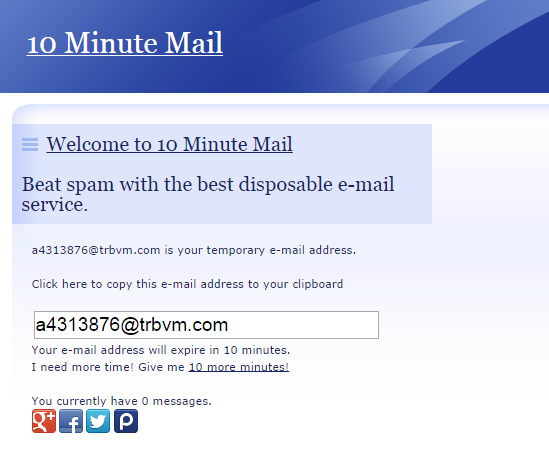 20 Minute Mail: This is just the higher version of the 10 minute mail service. This provider will give you 20 minutes for using your disposable email. After getting your email, there is a timer which goes on running and will let you know how much time you have left. 3. Air Mail: The main advantage of using this provider is that it supports multiple domain names. Also all the messages are checked through a proxy and it also blocks your IP address so that it can be tracked. Total anonymity is what this provider gives. 4. Yopmail: This email provider will give you the choice to create an email with a name of your wish. There are various alternate domains that one can use to register on sites where yopmail.com email addresses are restricted. The messages are kept for eight days in this service. Recommended Reading: How to Schedule Emails in Gmail – Complete Guide! 5. FilzMail: This email provider also gives you the choice to select your own name for the email address. 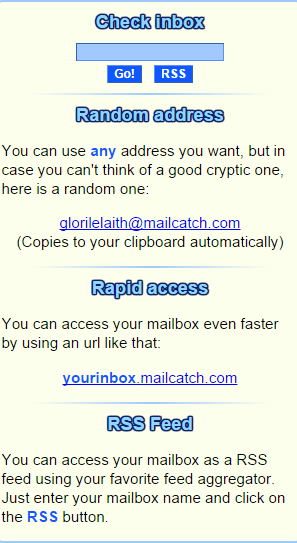 You can also generate a random address if you wish. The tiem limit for this service is 24 hours and it expires automatically after it. 6. 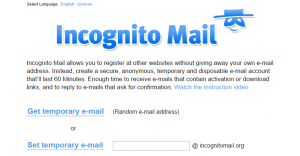 Incognito Email: It is same like FilzMail which will give you the choice to select your own email address or generate a random one. However, the only difference is that, this provider supports RSS. 7. Mailcatch: This providers supports RSS along with email forwarding. It also gives you the liberty to choose your own email address. It keeps on checking the inbox at every single minute. 8. 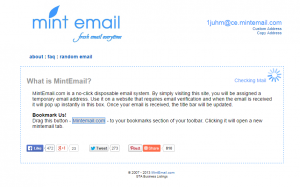 Mailinator: It is one of the most popular disposable email service provider. It has many alternate domains out of which only one is displayed on the main page. 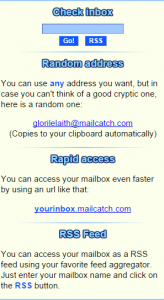 Mails can be accesses via POP3 and it also supports RSS feeds. 9. Mailnesia: It is also a popular service as it can be sued to create unlimited number of emails on different domains. Emails can be deleted afterwards whenever a user wants. It supports HTML and RSS feeds both. It also gives you the option for selecting your own email address. 10. Mint Email: It is also just like other email provider which will generate a disposable email instantly when you will visit the site. 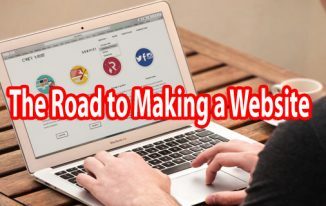 For an extra convenience it provides the facility of bookmarklet. So next time, when you are planning to fight against spam emails, do think of these disposable email service provider. Thanks for liking the post Karmakar. I still remember the “Anonymous email sending” post in TTW and this is another one! For the first time I’m hearing about disposable email providers and thanks for sharing the precise details. Thank you so much for the comment Nirmala. I never heard about this type of tool before reading this. 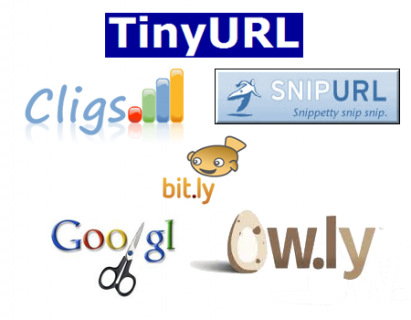 your post are always increase my knowledge about useful tools. Thanks for sharing your list with us.